No one should have to choose between her job and a healthy pregnancy. Local campaigns are sprouting up around the country to prevent this impossible choice, and A Better Balance is providing legal advice and advocacy support, including model bill language. To find out more or to get involved, please contact egedmark@abetterbalance.org. 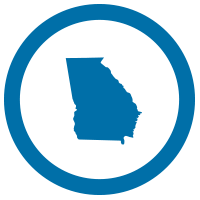 A Better Balance assisted in drafting the Georgia Pregnant Workers Fairness Act, introduced this session. During a legislative hearing, the bill sponsor, Rep. Park Cannon, spoke about one of our clients, Whitney Tomlinson, a Walmart worker, during her presentation of the bill. We are working closely with partners to ensure the bill gets over the finish line next session. 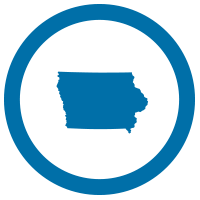 A Better Balance supported local advocates’ and lawmakers’ efforts to pass the Iowa Pregnant Workers Fairness Act, introduced in February 2017. 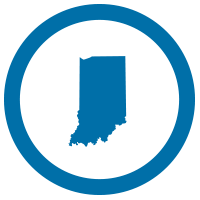 In Indiana, we assisted local advocates in introducing the state’s first ever Pregnant Worker Fairness Act, introduced with bi-partisan support! We are continuing to support local advocates’ and lawmakers’ efforts as they look to re-introduce the bill next session. 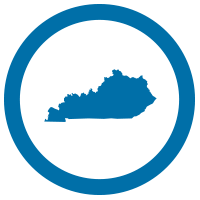 A Better Balance worked with legislators to draft a pregnancy fairness bill in Kentucky and worked with a coalition of supporters to push for passage in 2015, 2016, 2017, and 2018. This most recent session showed a lot of promise! Our clients’ Officers Lyndi Trischler and Sam Riley’s stories inspired the introduction of the bill, when they were pushed off the job as police officers because they needed a reasonable accommodation. They were forced to litigate for nearly two and half years to get justice. 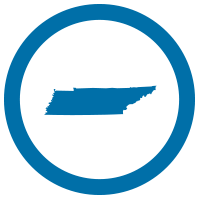 The Kentucky Pregnant Workers’ Fairness Act would ensure that no pregnant woman in Kentucky is forced out of work when a reasonable accommodation would keep her both healthy and on the job. At a hearing on the bill, Officer Trischler told her powerful story of discrimination under heartbreaking circumstances, and ABB testified and answered questions about the bill. Officer Trischler also authored an op-ed about the importance of the legislation. The bill passed out of Committee unanimously, but unfortunately stalled in the Senate. Read our fact sheet on the bill here. A bill that ABB worked on with our Oklahoma partners, including protections against discrimination for state employees related to pregnancy and childbirth, recently passed the Oklahoma Senate 31-8. A Better Balance is also supporting local advocates’ and lawmakers’ efforts to pass the Oklahoma Pregnant Workers Fairness Act, which would apply to private sector workers. 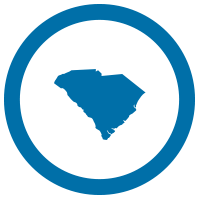 A Better Balance worked closely with local advocates to support passage of the South Carolina Pregnancy Accommodations Act and the bill passed with unanimous, bi-partisan support this May! South Carolina is now the 23rd state to grant explicit protections for pregnant workers in need of accommodations. A Better Balance’s Community Advocate Natasha Jackson, shared powerful testimony twice before the State Legislature about being pushed off the job while pregnant. Thanks to Natasha’s advocacy, the legislators understood just how much this law stood to affect women’s lives. We also testified in support of the bill in the State Legislature. Read Natasha’s testimony here and ABB testimony in support of the bill here. A Better Balance is leading a campaign to pass a pregnancy fairness bill in the state. Our client, Jessica Craddock, who was pushed off her job at Kroger after she asked to avoid heavy lifting, exemplifies why Tennessee needs a pregnancy fairness bill to make clear that employers must accommodate pregnant workers, unless it would be very difficult or expensive to do so. We are working on behalf of Jessica and other workers at Kroger in Nashville who have been denied reasonable accommodations needed to stay healthy and on the job, even though the company accommodates employees who were injured on the job. You can learn more about our work on behalf of pregnant workers at Kroger here.